Kids love kittens and puppies – it’s a fact. That being said why wouldn’t you give them what they want this Easter. I’m not saying run out and adopt a pet, I’m saying stuff their Easter basket with adorable pet themed loot. Just look at those puppy figurines! Kitten needlepoint, yes please. Raise your hand if you remember Makit & Bakit from your childhood. The nice thing about these pets is you don’t have to feed, water or clean out any litter boxes! 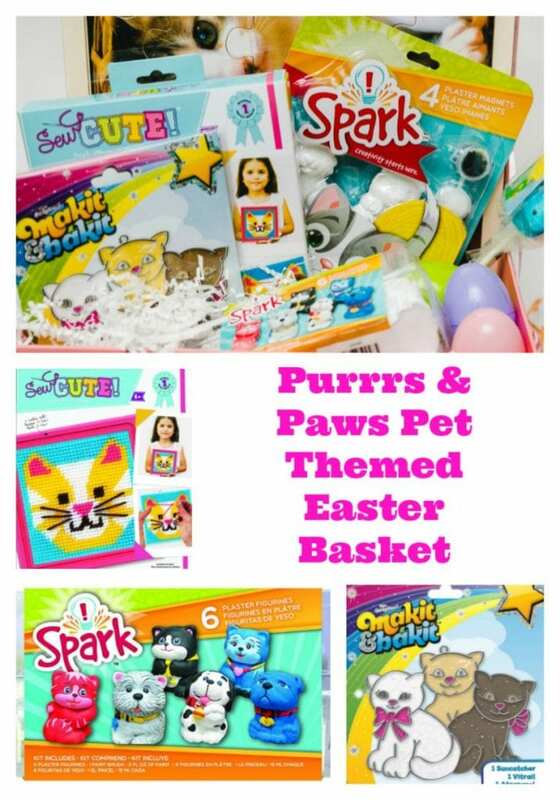 All week long I have been sharing fun themed Easter baskets from Colorbok (sponsored post). We’ve had ocean themed, foodie friends and now today we are ending with some adorable pets. The best part is on the Colorbok Facebook Page you can totally win some of these goodies for your kids basket. I love designing Easter baskets just like any other themed gift basket. Think of what your kids love most and go with that theme. REALLY go with it – socks, plaster figurines, notepads, stickers, sun catchers, coloring books, needlepoint and more. I’ve said it before, but I’ll say it again give more crafts and less candy for the holidays. Think of the long game, will your kids be enjoying the things from their Easter basket long after that Sunday has passed? With a basket full of creative crafts they will. 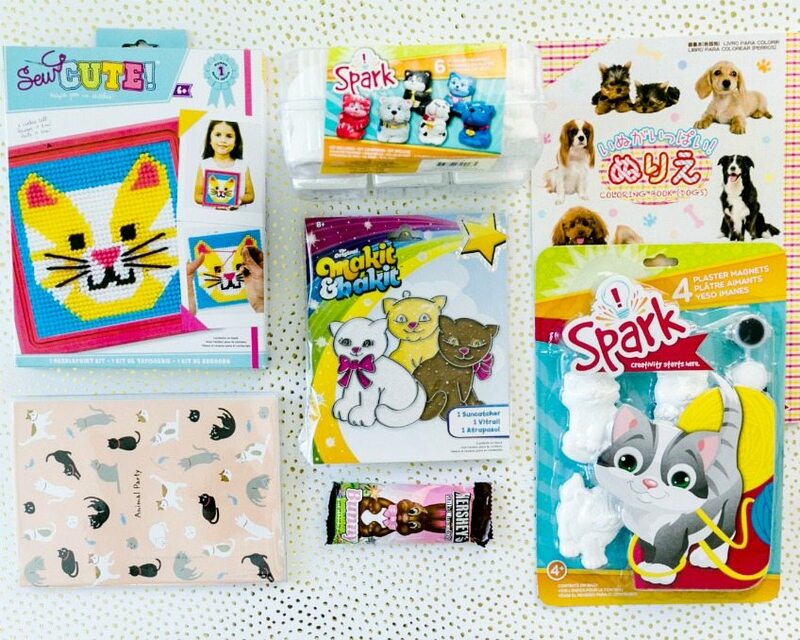 Boys or girls, tweens to toddlers – most kids love crafts. Do you ever really outgrow loving kittens with pink noses? I know I still love them. Need More Easter Basket Ideas? Keep reading. Foodie Friends – Food with faces is still a hot commodity with kids. 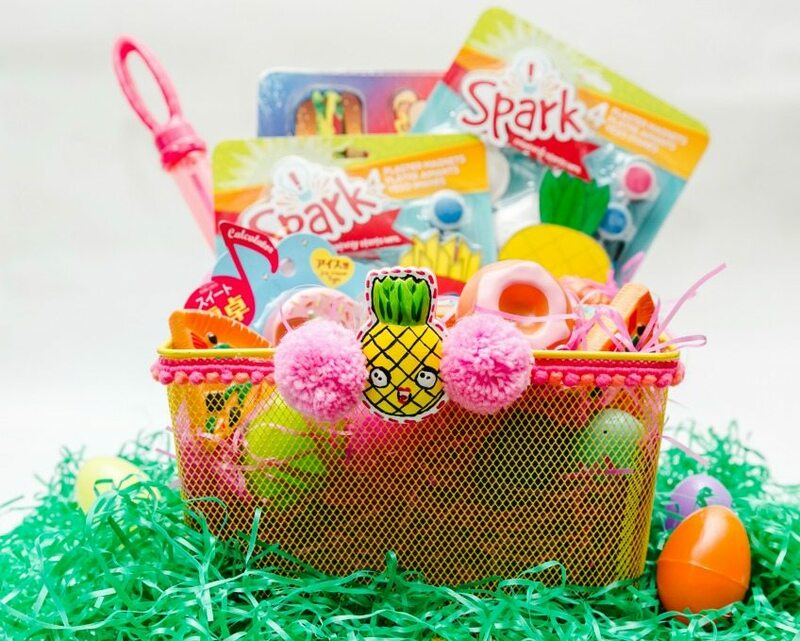 Fill an Easter basket with fast food themed crafts and toys. 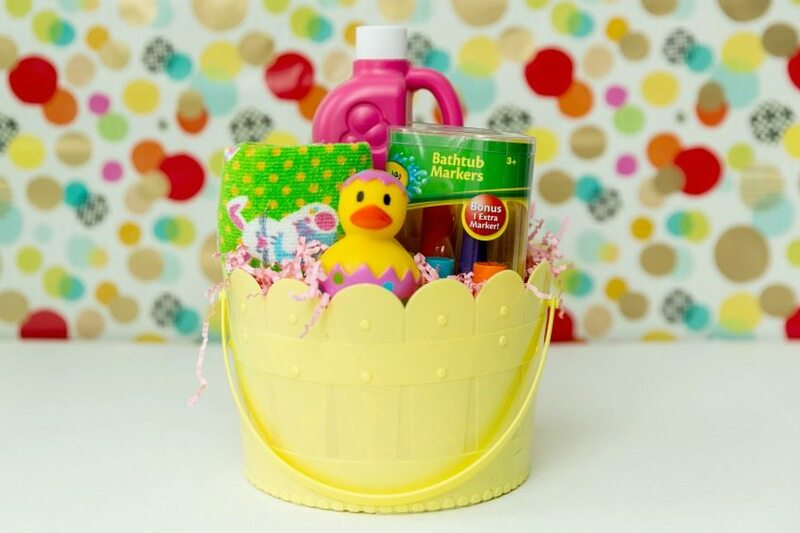 Bubble Basket – make bath time more fun with an Easter basket full of tub toys! Beach Bum – planning on spending lots of time at the beach or pool this summer? 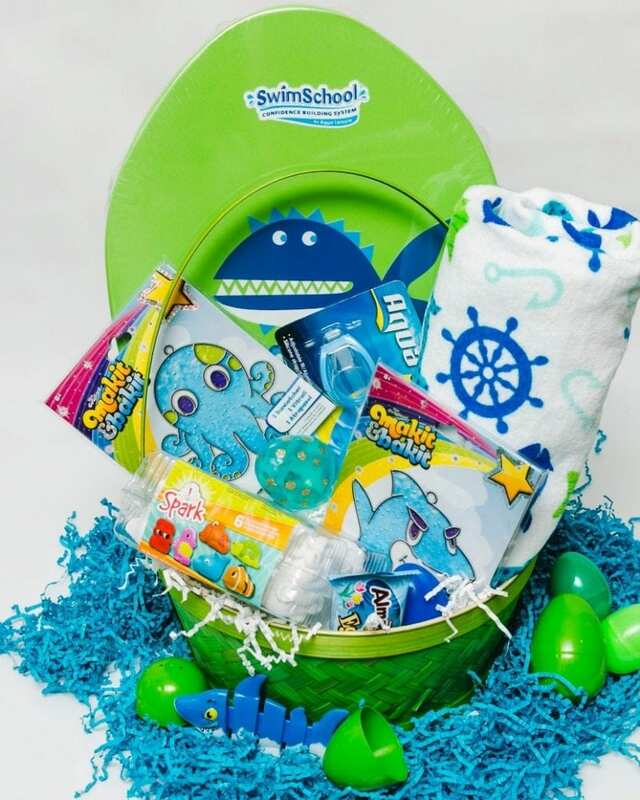 Plan for rainy swim free days with this ocean themed Easter basket. Posted April 7, 2017 & filed under Crafts, Easter, Holidays, Kids Crafts, Uncategorized.